The Wings may have the hottest pitcher in all of baseball on their roster right now. Stephen Gonsalves tossed seven shutout innings to lead the Red Wings to a 2-0 road win over the Indianapolis Indians Tuesday night, snapping the club's seven-game skid. Over his last seven outings, Gonsalves has allowed just 2 runs on 19 hits! That shakes out to a 0.45 ERA and a batting average against of .146. Perhaps most important for the southpaw was is command as he walked none on Tuesday after yielding five free passes in his last start. In fact over this ridiculous run, Gonsalves has walked five or more in three different starts. The southpaw's string of six straight starts without allowing an extra-base hit was snapped in the 5th inning on a Jason Martin leadoff triple. The offense was provided on RBI singles from Miguel Sano (1st inning) and Edgar Corcino (7th inning). 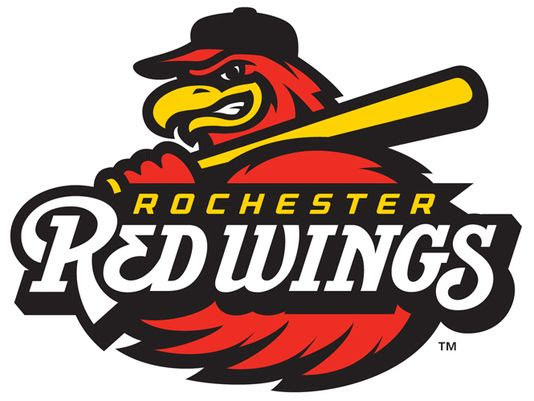 Gregorio Petit and Lamonte Wade each recorded two-hit nights for the Wings. DJ Baxendale escaped a two-on, one-out jam in the 8th inning and Alan Busenitz slammed the door in the final frame to earn the save. The Red Wings (45-53) look to start a win streak on Wednesday when they send Kohl Stewart to the hill in Indianapolis.